Klikněte na fotografii a zobrazte všechny dostupné fotografie k Pueblito Magico Hostel - Mompox. 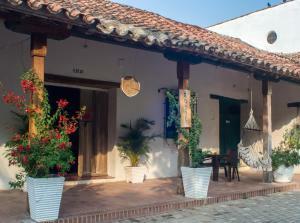 Pueblito Magico Hostel - Mompox in Mompos features a garden and a bar. Free WiFi is provided. Certain rooms are fitted with a kitchenette with a fridge.